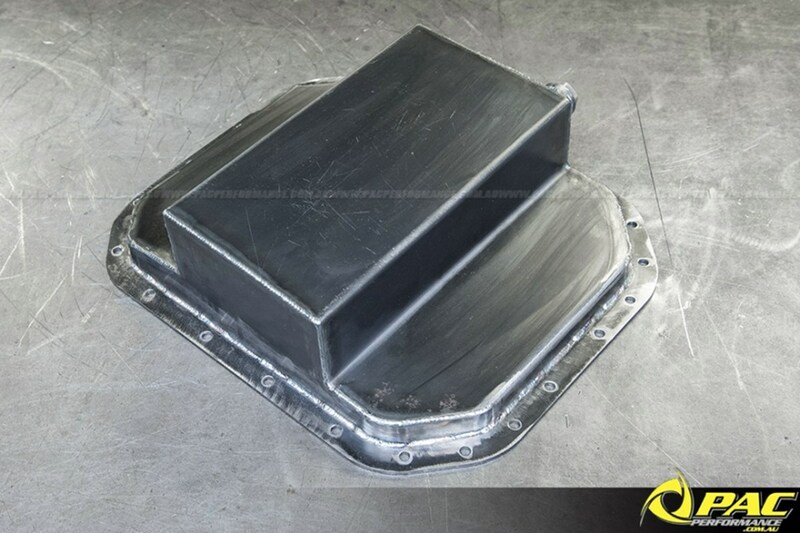 Just one of the many components that we're able to fabricate from scratch here at Pac Performance, custom engine sumps are something that is often overlooked, sitting under the car and out of the way. 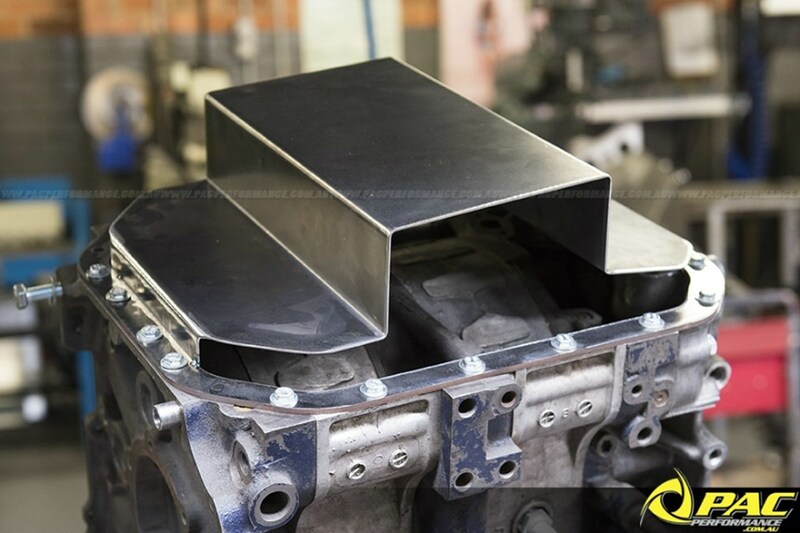 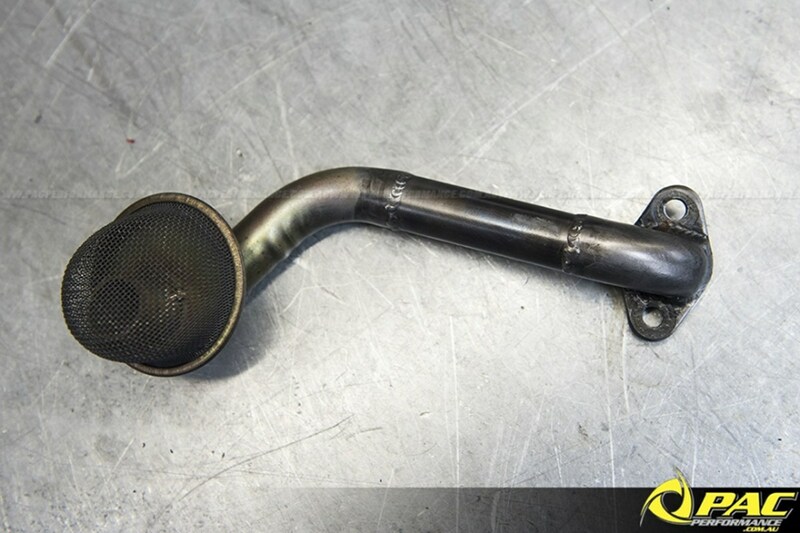 However, other than for the obvious reasons a properly-designed and fabricated sump is a crucial part of your engine setup and without the right know-how to execute the job, it can lead to all sorts of trouble for your engine. In this particular example Ross was piecing together a custom sump to suit a 13BT in an R100. 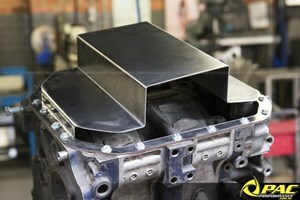 As you can see in this image a standard front or real bowl sump would not suit this application. 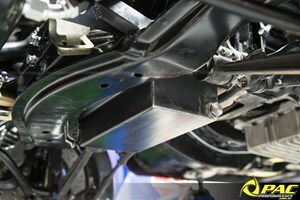 First up all the necessary measurements are taken required to clear the crossmember and steering components. 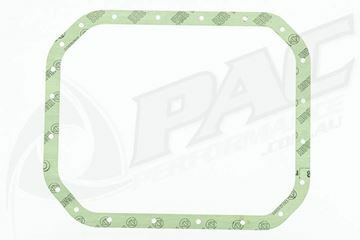 Starting off with a 6mm flange plate to help eliminate any chances of warping, Ross then bends up the basic sump shape out of 1.2mm steel in a single piece. Alloy sumps are also available if preferred. 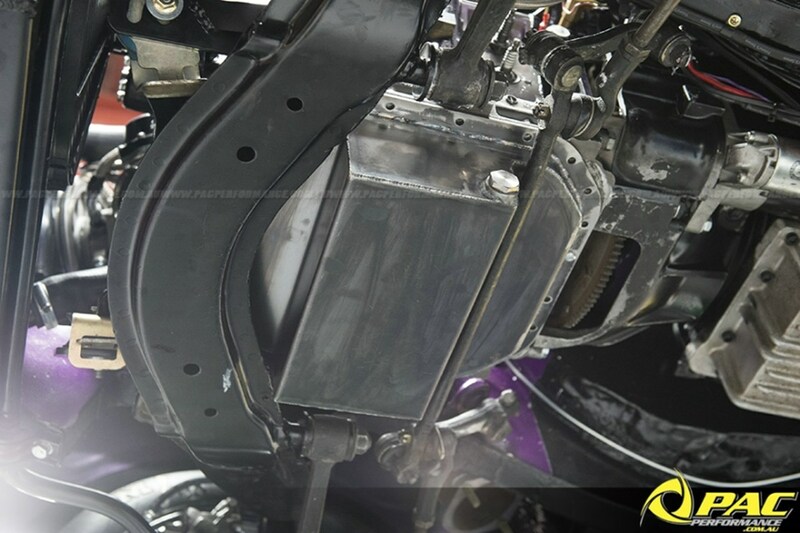 Once tacked in place and test fitted to ensure correct clearance, the side pieces are then trimmed up to suit and welded on as well as a sump plug. 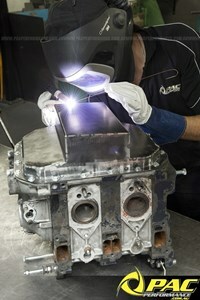 The whole assembly is then tig welded to complete the the job. 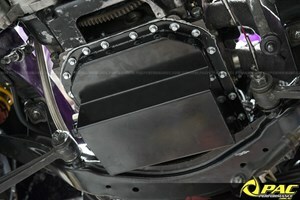 With the new pan layout a revised oil pickup is also required. 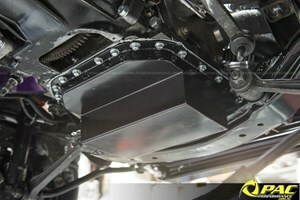 In this case Ross simply modified a factory pick up to do the job. 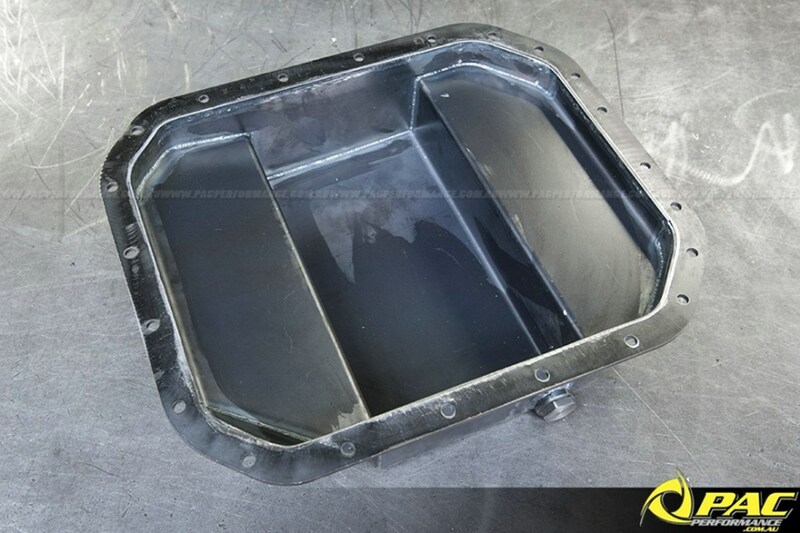 Now that the fabrication side of things is sorted the new engine sump is then cleaned and prepped before being powder coated. The new pickup and sump are then installed using all new hardware. 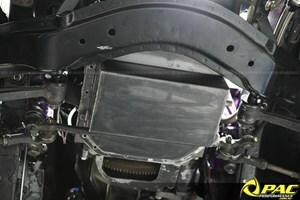 The fit...nice and snug, even with the increased capacity. 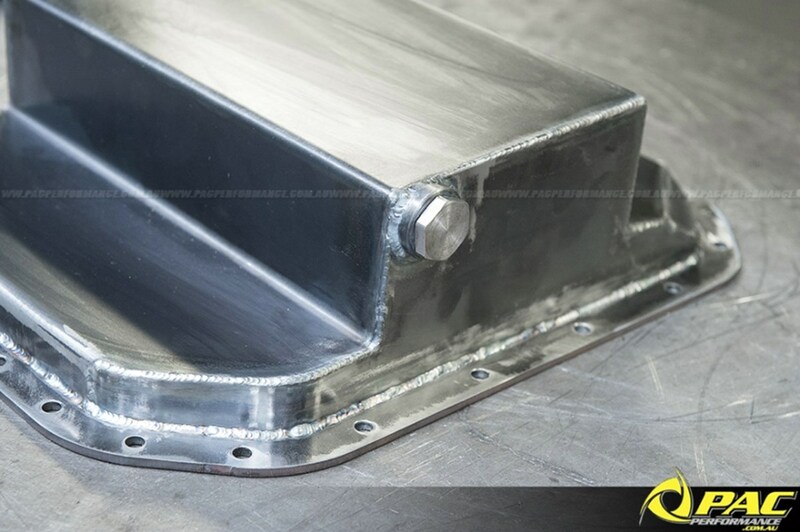 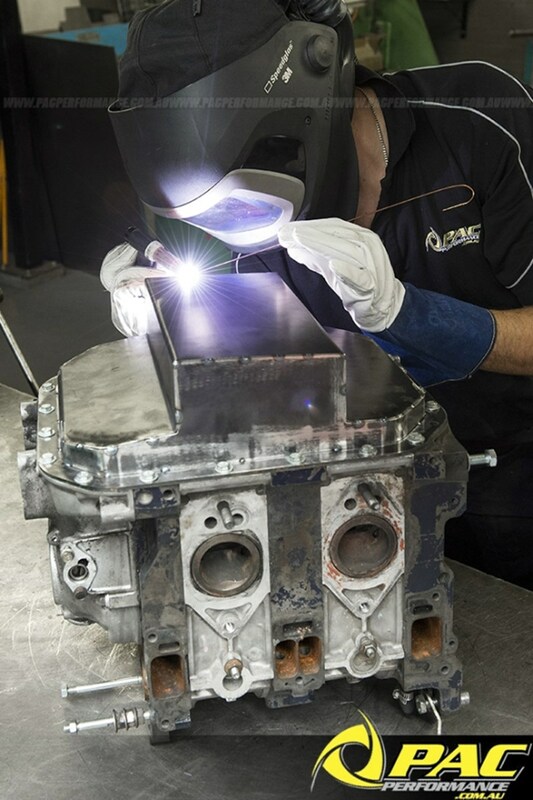 If you find yourself in the need for a custom fabricated engine sump, be sure to give us a call and we can sort you out with a setup to suit your requirements.